Are you ready for the first and largest Taiwanese-inspired street market in Singapore? The well-loved Shilin Night Market concept is coming to local shores for the very first time! 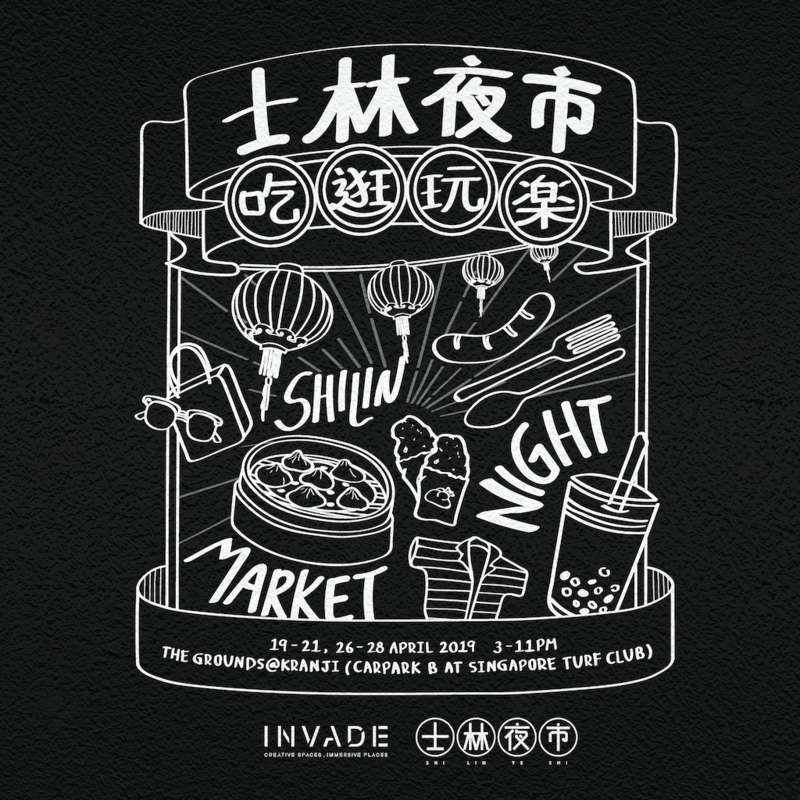 Come and enjoy lots of great food and drinks, shopping and a whole lot of fun and immersive experiences < 吃。逛。玩。樂。> at The Grounds@Kranji (Carpark B at Singapore Turf Club), where the night market will be held for two consecutive weekends. Besides Taiwanese vendors, you can also expect a multitude of stalls featuring products from local entrepreneurs, makers and creators, giving Shilin Night Market a uniquely Singapore twist that’s not to be missed! Come try Taiwanese and Singaporean street delicacies and creative eats, visit pop up artisan stores, arcade games and even movie screenings – the list goes on.